Lucy Hale loves country music! Leave a comment Posted in Pretty Little Liars, Uncategorized Tagged Lucy Hale loves country music! 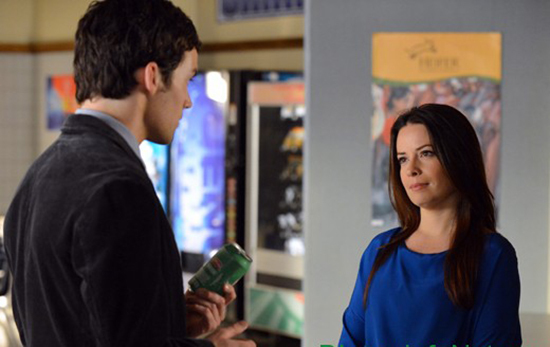 ‘PLL’ Spoiler: Will Ella Have A New Love Interest? Leave a comment Posted in Pretty Little Liars, Uncategorized Tagged ‘PLL’ Spoiler: Will Ella Have A New Love Interest? At the MTV Movie Awards, Lucy Hale talked about her character, Aria. Lucy hopes that her character is part of the “A” Team. As she points out, “If you notice, she’s always kind of missing. Sometimes it’s just always the three girls, it’s like, ‘Where’s Aria?’” Pretty Little Liars season 3 premieres tonight at 8pm ET/PT on ABC Family. Leave a comment Posted in Pretty Little Liars, Uncategorized Tagged The adorable Ashley Benson leaving Chateau Marmont!